Released in 2011, E.Y.E: Divine Cybermancy is the debut of French Streum On Studio. It is an ambitious and unique shooter/RPG hybrid, which is interesting, considering how shamelessly it “borrows influences” from various sources, but mostly pulp fiction like Warhammer 40k, Shadowrun, Lovecraftian horror and other video games. 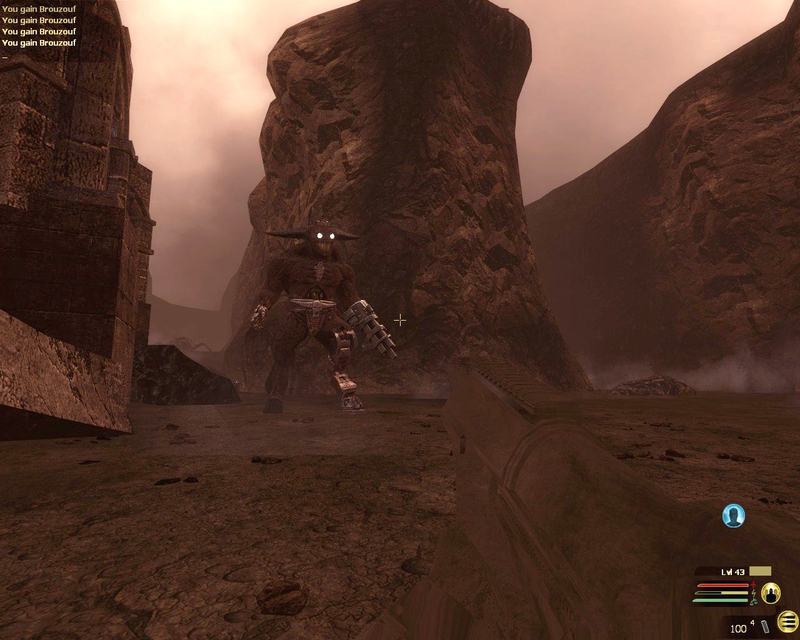 The game takes place in an amalgam of various settings that you might recognise immediately – a dystopian future where humanity is ruled by feuding megacorps, where contact has been made with hostile aliens, and where the world is threatened by the coming of the “metastreumonic force”, a mysterious throng of beasts spawned from psionics and nightmares. The player is a member of the titular E.Y.E– an organisation of psionic cybercommando warrior-monks. But E.Y.E is no exception to the rest of the world – its once brotherly factions of Jian Shang Di and Culter Dei are now at their throats. Overall, there are two broad aspects of Divine Cybermancy that make it very interesting for a gaming enthusiast: the atmosphere and the mechanics. E.Y.E is a game about many things, but it is primarily about confusion, chaos and betrayal. Make no mistake, the paragraph above shows just about the only things you can be certain of (or can you?) when it comes to the game’s narrative. Events that will make you question the entire game start happening very soon, and accompany you all the way to the “end”. The general atmosphere crafted in this game is superb, and it takes you on a true rollercoaster of emotions and sensations. This is achieved thanks to the mix of the mundane and the mystical. On one hand, you have typical spec ops missions that require you to infiltrate various places, perform false flag operations, etc. But on the other, everything is coated with a layer of esotericism – unexplainable events take place, your character suffers repeated bouts of amnesia, delusion and insanity, characters turn out to be much more than they seem at first. As you keep playing, you realise you simply have no one to trust, not even yourself, and the game laughs in your face every time you think you finally understood it. All these aspects also contribute a lot to another of E.Y.E’s highlights – the non-linearity. There are a few moments where you need to take sides and make decisions that actually influence the rest of the campaign. This adds tons of replayability, but also further enforces your paranoia – Do I betray the guy that is probably betraying me as we speak for the other faction that is shady as hell? Or maybe I should choose the third dude who’s been acting suspiciously since the start! Decisions, decisions. 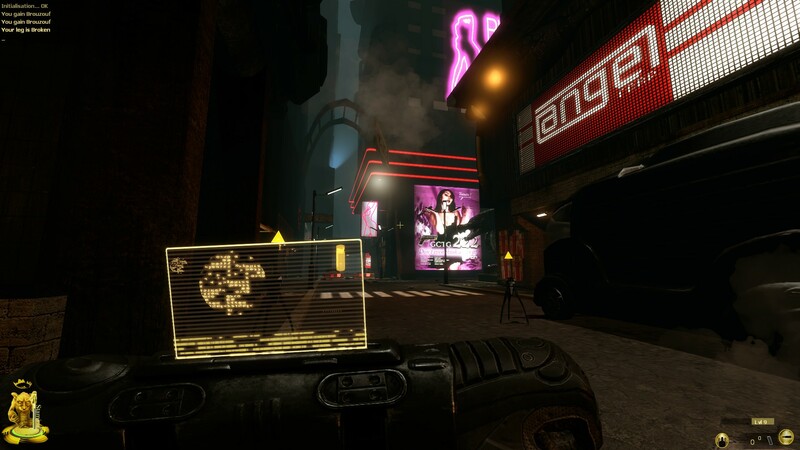 As for mechanics, E.Y.E manages to be both a solid shooter and an RPG, which is an impressive feat. It gives you plenty of guns that really feel like proper guns, have various ups and downs, traits, recoil, hitbox-varied damage, etc, including a 4-bullet handcannon and a miniature nuke launcher. You can also use melee weapons and grenades, set up turrets and grab a gundrone to follow you around. The enemies obviously respond in kind, bumrushing you en masse, sniping from afar or using some seriously heavy ordnance like plasma cannons and gunships.The neat thing is that you can also toggle the difficulty to your liking with sliders for the AI’s accuracy, reflexes, etc. 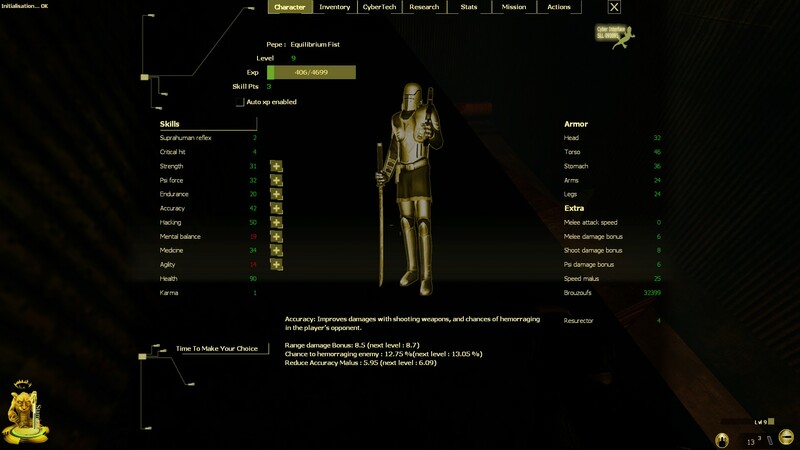 From the RPG side, you have a lot of customisation available to you. Apart from guns, you can also get a whole lot of psionic powers, cyber augmentations and stat boosts, which are bought or acquired from research and XP. You can also hack everything you encounter in different ways – destroy, leech stamina or take control. Just be careful you don’t get counterhacked. The differences between playing a melee beast, a sharpshooter or a psyker are also fairly big and support different playstyles well. The technical side is also an important contributor to the overall atmosphere. E.Y.E is running on the dated Source Engine, but the developers still managed to squeeze a lot of juice out of it, mostly thanks to the art direction. The environments are fairly varied, including futuristic cyberpunk cities, red dunes of Mars, mysterious ruins and Asian-inspired temples. Finally, and this is a funny point, E.Y.E has been infamous since its release because of its downright terrible translation. 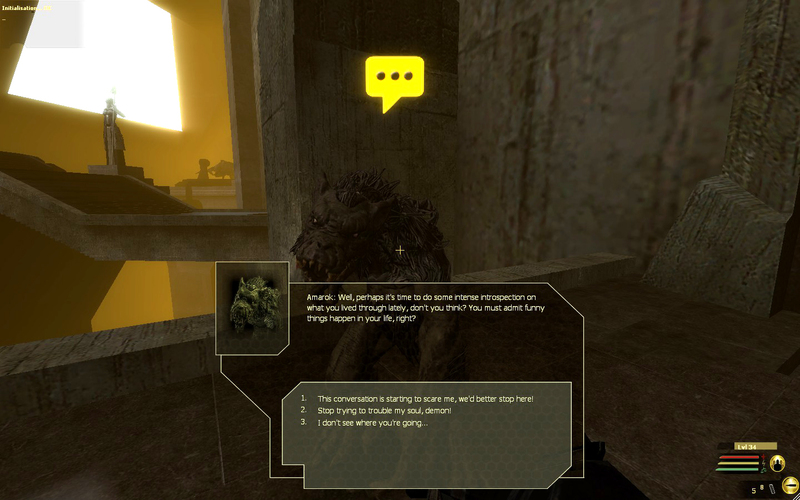 Indeed, the dialogues and flavour texts have some seriously broken grammar and bizarre choice of vocabulary, and are generally confusing, although not to the point to make the game unplayable. Interestingly enough, this botched translation actually contributes a lot to the overall feeling of estrangement, as the oneiric atmosphere is only further strengthened when every character sounds either like a mystical sensei or a raving lunatic. Hello. A small bit of information : The translation is probably a mess because the original French text is also a mess. I’m a native French speaker and I can tell the writing of this game is very strange. Some characters are speaking like they are 13 years old. Thanks for info “L’Homme de goût”!